A good email marketing service should have a great email creation tool. Even though it’s the most fundamental component of every email software, not every service gets it right. Use our chart to compare features of the best services. What Is an Email Creation Tool? An email service can make it hard to create emails, the deliverability rate may be low due to bad servers, or the drag-and-drop editor may be restrictive. A good email newsletter tool typically consists of a drag-and-drop editor, mobile-responsive templates, A/B testing capabilities, optimization checklists, HTML and CSS editing capabilities, scheduling options, segmentation features and simple photo editing/styling options. Since it’s arguably the most important component of any email service, we take extra care when analyzing an email marketing service’s email tool. We create multiple emails in different styles and templates to really understand the complete user experience. We check how the emails look on mobile and tablet screens. We view sent emails on various email clients to make sure they render properly, and we run the services through a variety of other tests. If we’re going to review something, we analyze it in a thorough and transparent fashion. Emailing consistently is how you build relationships in today’s digitally focused business environment. Despite the occasional “Is email dead?” article that pops up every few years, email is an extremely valuable channel for any business. Over three billion people use email, and Gmail alone has one billion users (Source: Hubspot). Of those people, 86 percent of consumers would like to receive promotional emails from companies they do business with monthly, and 15 percent would like to get them daily, according to Statista. 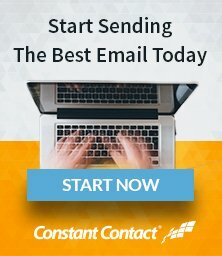 Developing an email marketing strategy lets you create a unique relationship with your consumer base and increase sales with every strategically placed email you send out. You can also track the entire customer journey from email to purchase and know exactly which users respond best to what style of emails. If you’re worried about the potential ROI of an email marketing strategy, you can just test it and found out for yourself. Every single email marketing platform we list on this site has been rated on strict and thorough criteria. It’s our job to make sure you get the best deal and fit for your business, and that thought stays with us through every review we create. It’s why we work with experts who understand what it’s like to use an email marketing service in the long term and who can provide insight into whether or not it’s the email marketing service for you. We consider everything from the specific email creator tool to the support system that surrounds a piece of software. Do they have good customer service? How responsive are they? Are there materials that you can take advantage of to get the most out of your email marketing efforts? Our review continues with other factors: making sure the services are up-to-date in today’s rapidly changing digital space, that the features work as they say they do, whether the email tools are mobile-friendly and so on. Email Creation Tool Reviews: These are methodical reviews of the most popular and highly rated email marketing services by our expert email marketing editors. Each editor has worked extensively with the software being reviewed and does an excellent job outlining the pros and cons of each service. Customer Reviews: These provide authentic customer opinions by site visitors just like you. These reviews are honest, crowd-sourced opinions on every email marketing service we review. Informational Articles: Sometimes it’s tough to know where to start, and that’s why we’ve created a variety of informative articles so you can learn how to craft a uniquely effective email marketing strategy for your business. You’ll find all kinds of helpful advice written by the best in the business. Take the time to go through our materials, and you’ll have plenty of ideas on how to approach email marketing for your business and become a pro in no time. Feature Comparison: We provide an email marketing service chart shootout! We line up the best email marketing tools and services side by side and compare who beats who at what and why.